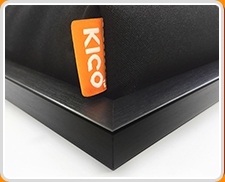 Add a splash of sophistication to your room with these classy framed photo lap trays. 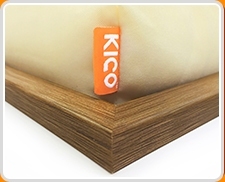 Frame your photos with these fancy frames available with Gold, Silver, and Black. 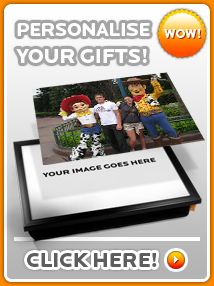 Personalise your lap tray with your own photos for that super special gift. Simply upload your photos in the Browse field and click 'Add To Cart' to start the upload. Make sure to choose the frame colour for each of your photos too! Bear in mind that the frames are square in shape so ideally your photo's subject should be fairly central so that we can crop accordingly. 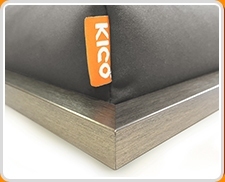 Do get in touch if you have any questions or email over your photo to info@kicoproducts.co.uk and we'll check them for you.